We just received the following Scholarship announcement in the SHARE office. College-bound high-school seniors in SHARE families have received this award in previous years, and we're looking forward to more. Download a .pdf of the application form HERE, and read on for full details . . . The Pathway to College program provides caregivers with the foundation needed to enter a number of degree programs including health education, nursing, occupational studies, business, psychology, and sociology. This collaboration with Worcester State University is a revised version of the Direct Care Pathways program, but expands beyond healthcare specific roles. Congratulations to Jay Hagan, the new Memorial Campus co-president for SHARE. He has been appointed by SHARE's Executive Board to hold the position until the next presidential election. Jay fills the role previously held by current SHARE staff member Bobbi-Jo Lewis. Jay has worked as a CT Technologist at our hospital for over 30 years. He has been serving as the Executive Board member for the Technical Region at Memorial, including on the Contract Negotiating Committee. We are excited for his new role, and looking forward to another Contract Negotiations together later this year. The Blood Donor Center at UMass Memorial accepts the important gift of blood year-round, and January is a great time to resolve to give. Already in 2018, the American Red Cross has again issued an emergency call for blood and platelet donations in response to a severe winter blood shortage. Blood is required for a number of medical conditions, including, of course, transplants, cancers, and traumatic injuries. UMass Memorial uses about 31,000 blood products each year to meet the needs of patients. The Blood Donor Center is located on the University Campus, downstairs from the Emergency Department. Walk-ins are welcome for whole-blood donations, or to schedule an appointment, please call 508-421-1950. To find other locations to give, visit the Red Cross website. How much will SHARE union dues be in 2018? For 2018, dues will increase for most members by 23 cents per pay period. Below are the old and dues new rates. The new rate will be effective on the first paycheck you receive in January 2018. That's a total annual increase of $11.96 ($8.84 for employees working 20 hrs/week). The money from dues supports the work that SHARE does. It pays for the organizers' salaries, office rent and supplies, phones, website hosting, printing costs and postage for mailings – all the things we need to negotiate good contracts, keep people informed, help members to solve problems if they come up, and to support members in having a voice in the workplace. A portion of the dues also goes to our national union, AFSCME, in Washington, and helps to pay for other groups of employees forming unions in their workplaces, and for research and lobbying. How is the dues increase determined? Our national union, AFSCME, calculates the annual increase based on the average raise for AFSCME members across the country. The new rate goes into effect each January. Are my SHARE dues eating my raise every year? SHARE members gain more than non-union employees even taking the cost of dues into account. In fact, from the end of June 2012 to the end of June in 2017, SHARE members got more raises than non-union employees. SHARE members get bigger raises (the difference in any particular year between a union raise and non-union raise is small, but the difference adds up). And each year the advantage of being in SHARE grows by having a voice in issues that affect us. At the 2017 Institute for Healthcare Improvement National Forum, I was struck by a statement that I heard early-on: patients want caregivers to care about one another. Patients know that, otherwise, their treatment is compromised. "Personal burnout" is the key indicator of a group's performance. And it can be reversed. Bryan Sexton, Director of the Patient Safety Center for the Duke University Health System, pointed to data that indicate that the best predictor of patient care is the level of "burnout" among that patient's caregivers. Did you catch that? That's a Patient Safety director . . . saying that personal burnout has a greater impact on healthcare outcomes than, say, "safety climate," or "teamwork," or any of the more traditional measures. Sexton points out that 50% of physicians are are burned out. As is 30% of healthcare administrative staff. 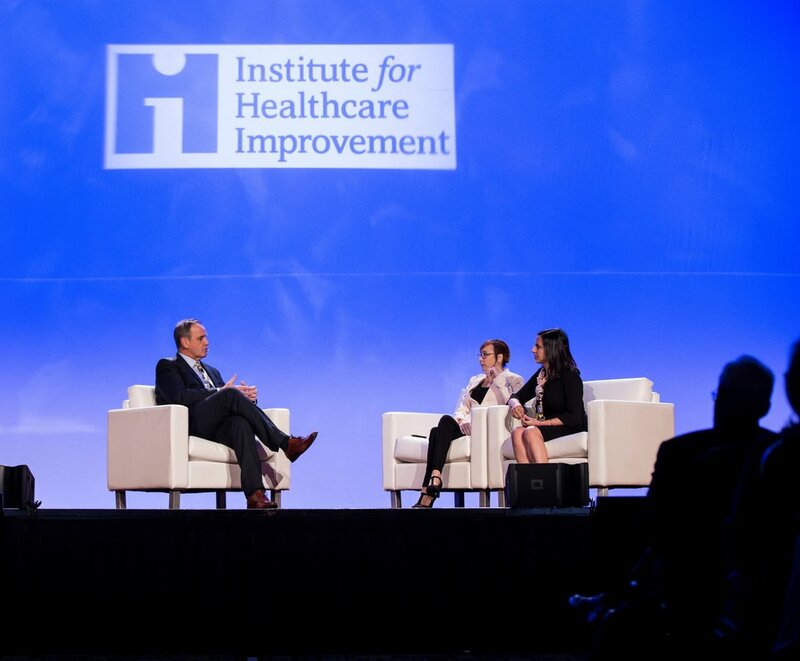 This year, my second trip to IHI’s annual event, provided lots of learning and smart tools for healthcare improvement. (I blogged from the plane last year, too, if you want a look back.) Beyond the patient care subjects that one might expect from a national healthcare conference, the IHI has adopted a curious and heartening focus on the personal happiness of the people who work in healthcare. Or, as they refer to it, "joy." A physician, Rana Awdish, who, on the last day of her residency, had a tumor rupture in her liver. This lead to a scene on the operating table. There, in her own hospital, through her stupor, she could hear someone say that she was “circling the drain.” She pulled through that event. But days later, still in the hospital, all by herself and unable to call out, she had to reach out to press the button and call a code blue on herself, as she lay in her bed, drowning in her own fluids as they redistributed into her lungs. She said she believes her wound was “a gift,” and has given her a keener eye for the system problems that demoralize caregivers and threaten patient health. A heartening story of a hospital that pays for groups of caregivers to go to dinner together every couple of months so that they can talk with one another about their experiences. The dinners were described as a kind of symbiosis--commensalism--and this eating together has brought these employees to care for each other, as well as their patients, in ways that they hadn’t before. Helen MacFie and Lorra Brown, who lead Lean projects at the MemorialCare network of hospitals in Southern California. They spend their work days talking about systems. AND, their concern for others was palpable. MacFie and Brown believe an improvement project is probably incomplete unless it has lead someone to cry happy tears. The pair led a session with an audience of hundreds, encouraging hospital leaders from around the country to hand the tools over to front line employees, the ones who really know how to make meaningful change where it matters. Can you make your workday happier with only a smidgen of effort? It does seem that some small interventions can go a long way. Together with researcher K. Carrie Adair and others at the Duke Patient Safety Center, Bryan Sexton directs the WISER study, which is designed to assess burnout and increase emotional resilience among healthcare workers. This quick summary only scratches the surface of the things I learned at this year's conference. If you'd like to know more about what I learned, and about how SHARE is applying new ideas, let's talk. Drop me a line: kirk.davis@theshareunion.org. As always, thank you for reading . . .
UMass Memorial is currently encouraging employees to comply with the hospital flu vaccination policy. At our hospital, whether you get the shot or decline, you are supposed to turn in one of two forms to Employee Health: either the hospital flu vaccine form, (which you can bring with you when you get your shot to have completed by your own regular care provider, drugstore clinic, etc.) OR, the declination form, if you choose not to be vaccinated. Hospital-sponsored flu clinics are listed below. The Centers for Disease Control recommends vaccination for most individuals over six months of age, especially those who work in healthcare. This short video featuring UMass Memorial physician Dr. Fozia Qamar addresses some of the most common questions about the vaccine. As in previous seasons, when flu season hits, the hospital plans to require unvaccinated employees working in patient care areas to wear a mask. Remember to bring your Kronos' Badge --OR-- Driver’s License with you. Monday 12/18 University Campus RM HB 376 7:00 a.m. -3:30 p.m.
291 Lincoln St Suite 100 7:00 a.m. – 5:00 p.m.
Tuesday 12/19 University Campus RM HB 376 6:30 a.m. -3:30 p.m.
291 Lincoln St Suite 100 7:00a.m. -5:00 p.m.
Wednesday 12/20 University Campus RM HB 376 7:00 a.m. – 3:30 p.m.
291 Lincoln St Suite 100 7:00 a.m.- 5:00 p.m.
Thursday 12/21 University campus RM HB 376 6;30 a.m. – 11:30 a.m.
Memorial Campus RM MB 2624 12:30p.m. – 3:30p.m. It’s a great time to be online with AFSCME's Free College benefit. Spring 2018 classes start January 16th, so don't delay. Get started right away to take advantage of this opportunity for you and your family, and you won’t have to pay a penny out of pocket. Thousands of AFSCME members have already signed up for classes and are sharing this benefit with their spouses, children and grandchildren as well. Spouse to spouse, parent to child or grandparent to grandchild, AFSCME’s partnership with Eastern Gateway Community College allows members to share this valuable college degree opportunity awhere it means the most. Right in your own home with your own family! Eastern Gateway Community College is a public, fully accredited, open-access college in Ohio, and credits are transferable. No entrance exam or placement test is required; you only need to complete the EGCC application, send in your high school or GED transcript, and apply for and use any available federal financial aid. AFSCME Free College will cover the difference for tuition, fees and e-books. The AFSCME Free College benefit is bigger and better than ever, so spring into action with us this January. Visit us at FreeCollege.AFSCME.org or call toll free at 1-888-590-9009 to take the next step to a brighter future. Are you interested in professional growth and development? Quinsigamond Community College’s Center for Workforce Development and Continuing Education will be offering career counseling to interested SHARE members. Meet privately with a certified career counselor who can guide you through a step-by-step process to explore options, set goals, and take action. Contact Jackie Kaczowka, Administrator Center for Workforce Development at QCC at 508-751-7911. You will be asked to provide your name, address, date of birth, and email address. Complete an online* assessment prior to your meeting. Instructions will be emailed to you upon registration. The assessment takes approximately 20 minutes to complete. After meeting with the counselor and reviewing your report, a follow up meeting will be scheduled. We're excited to announce that artwork by two SHARE members, Bayda Asbridge and Elsa Benavides, is being displayed during the month of November. Scroll down for the exhibition flyer, or visit the Healing Fibers website to learn more about the show, as well as the organization's mission, including its support of refugee artisans in Worcester. collected signatures outside the White City Trader Joe’s this week! This Fall, some SHARE organizers have been supporting the Raise Up coalition to bring two questions to the public on election day 2018. We have been working on gathering the number of signatures required to get a $15 minimum wage (phased in slowly over four years) and paid family/medical leave on the ballot next year so that we, as citizens of Massachusetts, can decide if we want these changes in our state. Raise Up is a group of unions, churches, and small community organizations from across the state who are committed to positive changes for working families here in Massachusetts. At SHARE, we see how valuable these changes would be for our members, and for all working people in MA. Many SHARE members have family and dependents at home who make the minimum wage. We believe that everyone deserves the ability to support themselves and their family, and right now, working 40 hours a week for the current $11 minimum wage just isn’t cutting it. And we know that a raise in the minimum wage helps to support solid raises for SHARE members when we negotiate with hospital management. The Paid Family/Medical Leave proposal is also a better deal for working families. That proposal would provide up to 26 weeks of job-protected medical leave at 90% of pay if an employee is sick, and up to 16 weeks of job-protected family leave at 90% of pay if they have to care for a family member or have a new baby at home. A higher standard would help SHARE as we negotiate leaves-of-absence in our own contract in the future. Some of our SHARE reps have been volunteering their time to collect signatures so that we will have the chance to vote on these two important issues next fall. 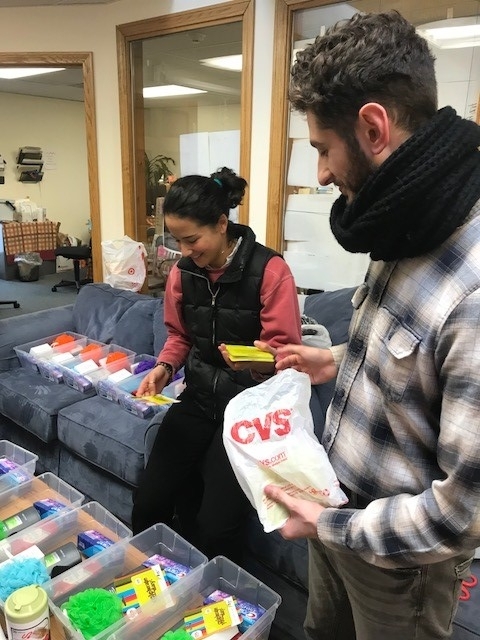 If you are interested in joining that effort, or if you have questions about these two initiatives, please email eve.feldberg@theshareunion.org or call/text (617) 620-4091. UMass Memorial Human Resources has confirmed that the SHARE raises will be on time. SHARE members started earning their new rate on Sunday, October 1st. That new amount will show up in paychecks next week, October 13, and should be visible on-line starting on Saturday. Most SHARE members are getting a 2% across the board raise, plus the annual SHARE platform movement amount. The across-the-board raise keeps you up with inflation, and the platform movement gives you credit for another year of experience and moves you up toward the grade max. This is the final raise negotiated under our current contract. We expect to begin negotiating the next contract, including raises, in the Spring-Summer of next year. We have completed a great amount of the work involved to slot individuals onto platforms. Thank you to everyone affected for your help in making sure that the hospital has the correct experience data on record for you. We are still working with management to finalize the process, and will contact you all with a further update. For most SHARE members, those whose current rate of pay is already on a platform, you can identify your new rate by locating your current rate in the online Pay Grids, then moving one column to the right and one row down. There’s nothing like that feeling of being in the ballpark with friends, with the bright lights all around, as a talented singer nails those last few bars of "The Star Spangled Banner." And when Martha Vedrine stepped her voice up an extra interval near the end of her recent performance of the Anthem at Union Night, it was a magical thing. The stands erupted. Martha is a member of our sister union at Harvard University, HUCTW, where she works at the Harvard School of Dental Medicine. At the Red Sox game at Fenway Park on Labor Day, over 220 of the seats were filled by members of SHARE and HUCTW. Union Night is designated to recognize what unions do to improve the lives of working people. Our own SHARE Hospital union co-president, Bobbi-Jo Lewis, was recognized during the ceremonies. "I've been bringing my kids to watch the Red Sox since they were little. It was really special for them to be in the stands while I got a chance to wave up at the crowd from the field," Bobbi-Jo said. We’re already looking forward to the next Union Day at Fenway. Although the Major League schedule hasn’t been announced for next season, we’ve got our fingers crossed for a day game, so more SHARE families can be able to come. We’ll keep you posted. In the meanwhile, most any time that you go to Boston to see the Sox, you can listen to the musical skills of HUCTW member Josh Kantor. Josh is Fenway’s official organist. He has negotiated a flex-time arrangement with his supervisors at Harvard University’s Loeb Music Library so that he can perform at all of the home games. Next time you’re at a game, you can even Tweet him a song request! Looking for a festive party food that you can whip up quickly to bring to an event? Let’s say, for example, the SHARE 20th Anniversary Party? SHARE-UMMS President Kathy Bateman has you covered. Below is her recipe for Chocolate Covered Pretzels. If you’re bringing your Nana’s secret-recipe fudge brownies to our big day, that’d be a welcome treat, of course. That said, we also would love to include everyone in the recipe collection. To learn more about our pot-luck event, and to access the Recipe Swap easy submission form, just visit the Great SHARE Recipe Swap website. About this Dish: This recipe is so fun and easy that children will enjoy rolling, sprinkling and designing their own pretzel creation. I make these during the holidays and they disappear in no time. Melting chocolate – I use white and milk, but you can use whatever color/flavor you like. Have at least 4 large cookie sheets lined with parchment paper – this makes clean-up a breeze and the pretzels will not stick to the cookie sheet. Preheat the oven to 225 degrees and turn the oven off. Place the vanilla and chocolate on a parchment paper lined cookie sheet and put into the oven to let the chocolate melt. Test for doneness by taking a toothpick, and swirl the chocolate through the middle. While the chocolate is melting, place two of the parchment lined cookie sheets in the freezer so the chocolate will harden quickly after being dipped. When the chocolate is melted, remove from the oven. Roll the pretzel rods in the chocolate to coat evenly and place on a frozen cookie sheet. This works up quickly. Once you have a whole sheet of pretzels, sprinkle with colored sprinkles and drizzle the different colored chocolate over the dark chocolate, same with the dark chocolate, drizzle over white pretzels. If you don’t have sprinkles, the drizzles will do just fine. Place the decorated pretzels in the freezer for about 5 minutes. After removing from the freezer, place the pretzels on a plate or platter. Enjoy! I purchase the white and chocolate flavored “Plymouth Pantry Almond Bark” at Wal-Mart, but you can use any kind of melting chocolate.